Tony has over 30 years of experience providing cosmetic treatments to Trinity Beach families. When you visit Trinity Beach Dental, you will be presented with a variety of choices so that you can select the one(s) most appropriate to your concerns and budget. Each smile makeover is unique. Depending on your preferences, we often combine a variety of different treatments, such as whitening, bonding and veneers. 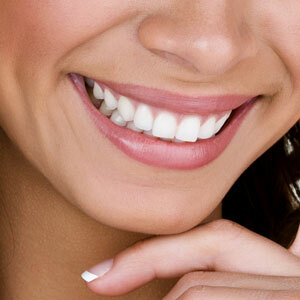 Brighter teeth can create the appearance of a youthful, healthy smile. Teeth whitening is a quick and effective way to enhance your teeth, even if another cosmetic treatment isn’t necessary. Minor chips or discrepancies in the shape of your teeth can make you feel embarrassed to smile. Bonding uses a tooth-coloured material to reshape a tooth so that it appears whole and properly sized. Perhaps you’re searching for a dramatic way to change everything about the way your teeth look. Veneers offer just that. With veneers, Tony bonds a thin porcelain shell over the front of your visible teeth. When you smile, it appears as if they are all perfectly straight and white. The treatment usually takes two or three visits to complete. Tony understands that planning a smile makeover can be a unique experience. At Trinity Beach Dental, we offer free consultations to people who are considering cosmetic dental work. During your evaluation, we will discuss the types of treatment that are appropriate for your teeth, as well as review financing plans that are available. Thanks to 0% interest payment options, you can conveniently budget the treatment that you prefer. Contact us today to schedule your visit with our punctual Trinity Beach dentist!